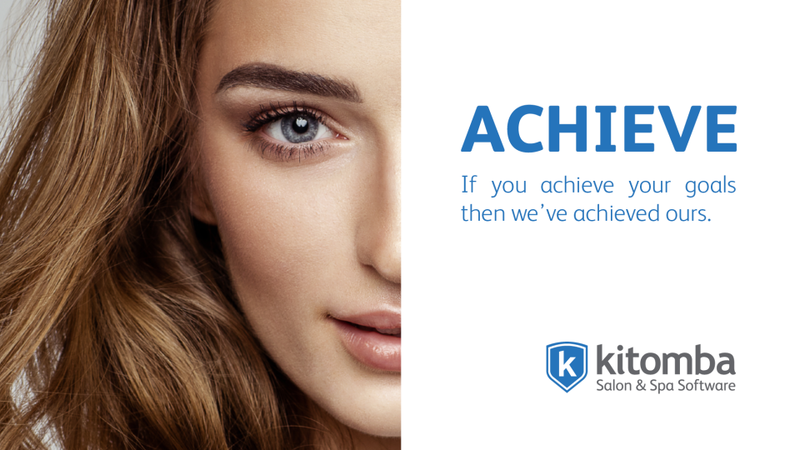 Kitomba is the complete business management software thats been helping thousands of salons, spas and clinics achieve success since 2002. It has all the industry specific features you need to successfully manage your business along with the support you want. Providing free unbeatable support has always been important to us. Our dedicated support team is available to help you 7 days a week including after hours and weekends, and are available by phone, email or chat. Pros: I like that it does so much and makes everyone do everything correctly as well. 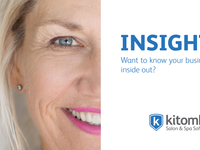 It picks up mistakes, and also allows us some freedom regarding reminders and also rostering staff is easy - there are great charting features and I am sure there are things Kitomba can do that I don't even know! Cons: The only thing I don't like is that it will not stop a staff member from making a sale without committing it properly, you can commit a sale but not put in the method of payment which overrides the actual sale and doesn't record it, which makes it complicated if staff have forgotton to go back and complete a sale. Settlement is then a nightmare ! Overall: auto reminders, texting clients as no one listens to voicemail any more, many features such as reports which are comprehensive and allow me to track my business and how it is going, financial records, so many things. Pros: Easy, comprehensive, great support. Always updating and keeping up with things. The staff are friendly and very helpful. Cons: Not sure if it adds product back if you delete or credit. I do find the everyday marketing a little hard to get sometimes and it is hard to target specifics (maybe I don't know how to use it) I often don't have time to to watch videos about the utilization of the system. Maybe if a planned rep visit to go over the finer things would be good. Now that we are with Mailchimp it would be good to maybe have the accepts promo box ticked as default and that way when mailchimp deletes it we know for sure it's not just an oversite. My docket printouts are also confusing because of where the separation line is. I would like to be able to also print out the clients treatment note history. Pros: I like how easy and user friendly it was for staff and clients booking online and the reports. Also love K1. Cons: Online booking is fabulous when it's working. For the past 7+ weeks so many clients have had issues and not been able to make there appointments and Kitomba recognised there was an issue said it was fixed but it's definitely not. Still getting clients complaining it's not working. Very disappointed 4 weeks till Christmas and this is happening for the price you pay. Overall: For years I was so happy, however I am at the stage of looking else where if this online booking system error doesn't get resolved. Pros: I like that it can be set up to automatically do the work for you, when you know how to set this up. I feel its user friendly and easy to use and tech to use. Cons: Thats you cannot make a reoccurring appointment for clients that come weekly. we have to copy and paste the appointment. I don't like the online booking payment, that its done through PayPal. i feel having to transfer from PayPal to my account is just more work for me. so i have chosen not to have this option. Overall: I can see what is booked in from where ever i am. No need to chase people regarding there appointment and client history. Ease of salon functions. Cons: That it turns off every Sunday and we do not open on Mondays so I have to come to the salon to turn it back on so we can see that clients have confirmed their appointments or cancelled them for 9am start on Tuesdays. Pros: The customer service and pricing...have used a few and this is by far the best in both avenues. The online booking feature is a favourite with our clients and is easy use for them. Cons: Some appointment features could work better with rebooking. We book clients ahead and rescheduling appointments can be a little long winded to do. Overall: Easy to use, can view when not at work, easy to work out features with create online support and just a phone call. Love team view so you can hope in and do what would take us hours. Nice peope to deal with on the end of the phone...understand that we have no idea. 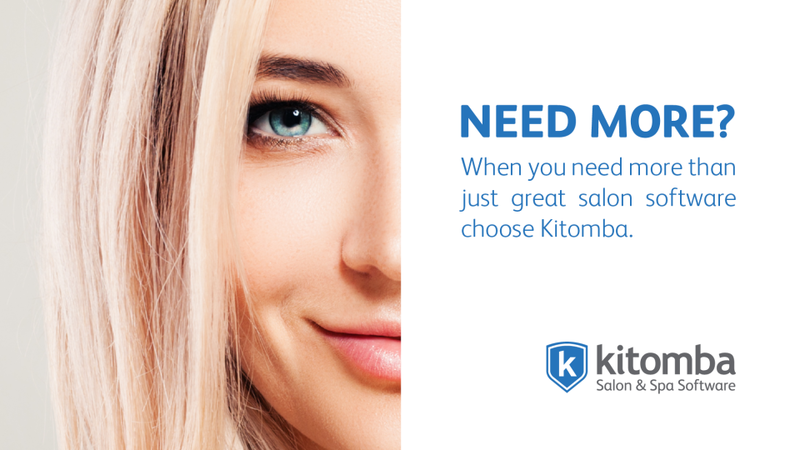 Overall: From a manual (book and pen) system too Kitomba it has increased our service time, as kitomba you can automate text msgs, reminders, cautions and pos. Pros: It provides a diverse range of information useful to me as Administrator. It is user friendly and has been designed well in my opinion. The reporting is good and our staff seem to be handling it well. Cons: Not necessarily Kitomba's fault but the L'Oreal Matrix sector of our inventory which is also the largest, has a number of anomalies whereby product is duplicated under slightly different names and sectors. Also inconsistency's. Spaces, capitals and descriptions need to be identical. Comments: People often say what a difference a day makes. In my case I say what a difference a year makes. 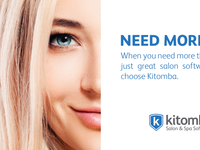 Our salon has now been using Kitomba for one year. In that time we have been able to achieve a much better handle on our stock, our productivity and most of all our clients needs. Kitomba support - We had to introduce the system in the first week of December due to issues with previous software suppliers. I know, OMG I thought in the busiest time of the year. However it was made so easy with the support we got on site initially and then on line. Everyone at Kitomba respects your issue, deals with it promptly and most of all, completely satisfying my needs. I also love the 1/2 hour webinar to aid the learning process. Stock and clients - the system has given us such a good look at our stock e.g. what been sitting on shelve too long and clients e.g. when last purchased product that we have been able to react quickly to issues. 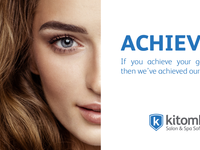 Feedback from clients love the on line appointment, the text for their birthdays and the Kitomba $$ loyalty programme. The team - It has been great to set up the commission system for each employee, the ability to work out their wages in one easy action is fantastic. We also use the reporting system on K1 i.e. benchmarking to show each team member how they are going. Pros: Local assistance if required. Cons: Cost of text reminders is too high. K1 looks too odd to use to any great detail. Pros: Customer service is always helpful when we need to call them! Easy to put colour notes in, and easy to book in appointments and rebooking of clients. Cons: sometimes cant' open the software have to call for help. Pros: It is easy to use & all staff members can use it easily. The straightforward layout makes the viewing screen easy to see & book appointments simply. Cons: The overall cost of the text messages makes it a costly experience if you want to message lots of clients. Overall: record keeping & reports make it easy to see what is happening on a daily basis. Pros: Easy to use. I like being able to sign into k1 from home. Good for staff to be able to check in. Love clients being able to confirm appointments. Cons: Wish k1 had more options, I'd like to be able to access more reports from home. Also be able to do marketing. We have had kitomba for 5 years. 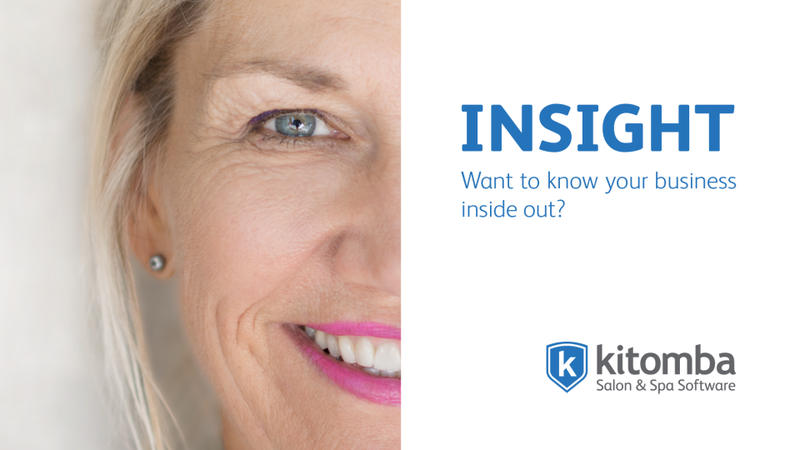 It is easy to use, has all the reports you need and great support. Absolutely love how easy kitomba is to use. And the staff are always helpful. Pros: Love the text messaging reminders, love the support, love how easy it is to use. Love that they are always bribing out new features. Cons: Sometimes the price of the monthly fees can be a bit much, but other then that I can't complain about kitomba!! Cons: If I had to say one con it would be not being able to use concession cards with an exception once they expire. Overall: Does not allow you to delete names etc when you have gone wrong. I have found kiyomva super easy for myself and even my team love it. Pros: It's easy and the help desk is great. The customer rep is fantastic. There are a lot of different ways of doing the same thing which is helpful as everyone works differently. Cons: I can't change rosters on K1 and I can't always find the reports I like the best easily. Some of the reports aren't what I want and I can't always find that easily either. It sounds up on product sales which is then confusing as figures don't match up. It easy to use just getting expensive! Pros: I like the service when ever I call up they can fix my problem with ease and the colour histories. are easy to read! Cons: I don't like the costs involved i have been a long time userwhereas other competitors are cheaper and are paid off after a while! This platform has been a game changer for our business and support is 2nd to none. Pros: Its ease of use, the lists we can generate and marketing capabilities - online booking is so smooth. Cons: On our online booking automated email we would like to change the text completely and I have been told I cannot do that ( I can just add text) this would be awesome if we could change this. I loved using Kitomba. Sorry to see it go at this stage. Pros: I like how easy it was to use and easy to add and delete clients and products. It was very easy and helpful to call for help. Cons: I enjoyed the software. I have no problems with it. But I had to cancel our account and I am just starting up and finance is very very tight at the moment saying that once we are going well I will contact Kitomba again. Comments: Kitomba is a great system to use with great functions and easy to get the hang of. Only downside is the price.